All eBooks you buy from different e-Book Stores are DRM protected as usual. 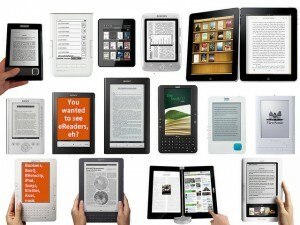 It is obvious that you don't really own them as you can't enjoy reading them on any device or e-Reader. I am very sure that you want to read them in any way you prefer. So, I am going to guide you through that article which aims to fight the restrictions on our purchased items. What excites me is helping consumers to read the e-Books that they have bought with real money in the manner of their choosing with every right to own them and use them freely. As I want to get rid of the following scenario : Company (A) doesn't allow e-Books you buy from them to work on Devices or e-Readers of Company (B) because they want customers to buy only from a specific e-Book Store. If you have any question or concerns about whether is it legal or not you are welcome to see our DRM-Removal Policy. Disclaimer : The content on that website is just to provide useful information for others which is only meant for learning purposes and not to violate the (DMCA) law. It is the operation of getting beyond the right to logically own your e-Books by circumventing the Digital Rights Management (DRM) on them. Which allows us to gain full advantage over our e-Books. Obviously, it is not piracy because you or I may really like to read our legally purchased e-Books on Any Device or Any e-Reader. What e-Book Stores are DRM-Protected? These are the most popular Manufacturing Companies for e-Books with each store listed (See Below). So, do you buy your e-Books from those companies? You may be annoyed because of the restrictions they have. Apparently, several solutions for your problem is available on this blog so you don't have to worry about it. How to Remove DRM from e-Books? I have written Unique Articles for each method of DRM-Removal explaining how to (Step-By-Step) remove DRM from the e-Books that you have legally purchased. So, if you are not the original owner of the content then you are not going to be able to use it. All methods below might still be working great but I recommend for you to use the most up-to-date DRM removal method which is DeDRM: Ultimate Calibre DRM Removal Plugin for eBooks that is all-in-one and it can remove DRM from almost any type of e-book. The methods of DRM-Removal above rely on Open Source Software which is powerful and can even be improved in the future. Please try to work to improve the tools and do not forget to share the knowledge. Warning : Do not send the (DRM-Free) content to anybody else just keep it only for self-use and also keep in mind that the purpose of removing DRM is only to enjoy your legally purchased Books or Media on other devices.